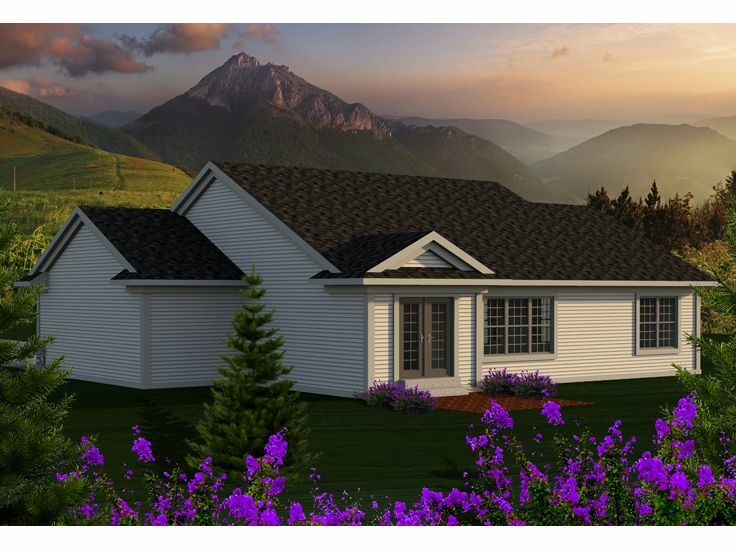 Simple pleasures are the best with this ranch home plan. 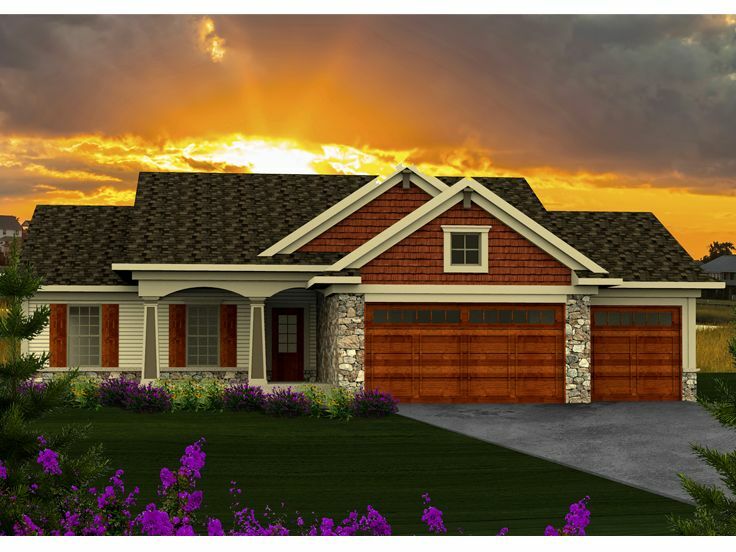 The handsome blend of traditional and Craftsman details grace the exterior. 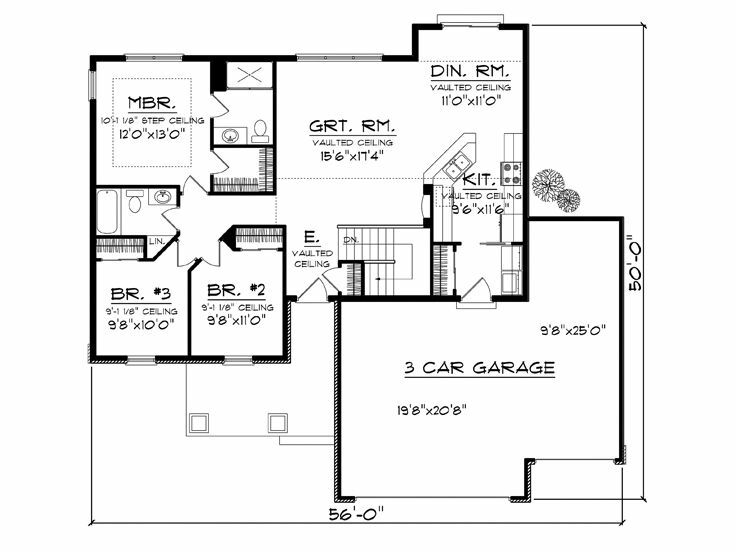 Homeowners enter from the attached three-car garage through the utility/mud room directly to the kitchen. Groceries go from trunk to storage in a snap. Vaulted ceilings in the kitchen, dining and great room create a feeling of spaciousness. 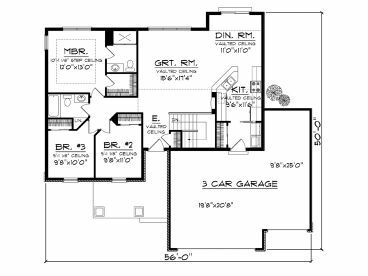 The master bedroom is just across the hall from the two secondary bedrooms, a perfect setup for parents keeping an eye on young children. This straightforward design is beautiful in its efficiency and affordable for its future family.